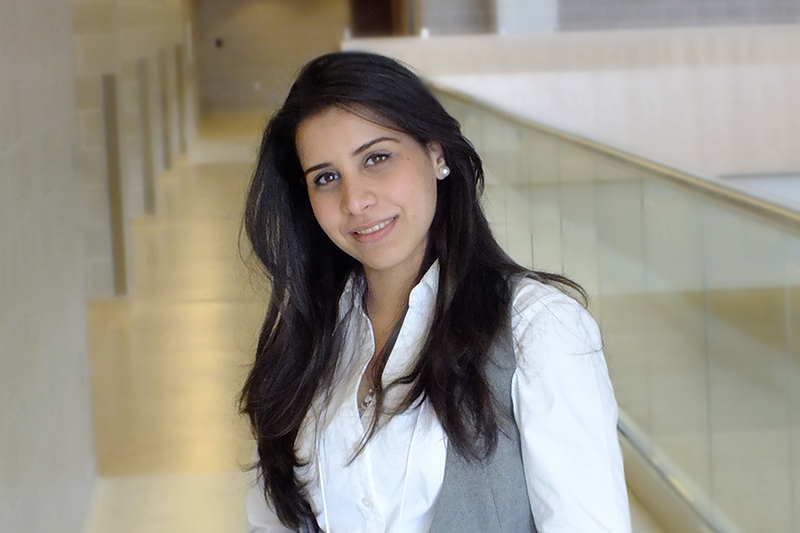 Congratulations to Mays Al-Dulaymi who has been awarded the 2017 Gattefossé Canada/CSPS Award in Lipid-Based Drug Delivery for her research project entitled: "Peptide-modified gemini surfactant-based gene delivery systems: in vitro and in vivo evaluation, physicochemical characterization and biodistribution." The award consists of a certificate and support to attend the annual CSPS Symposium and present a poster of her work. This award will be formally presented at the CSPS Awards ceremony at the conference gala and awards dinner. Mays is a PhD student in Pharmacy co-supervised by Drs. Ildiko Badea and Anas El-Aneed. She obtained her BSc in Pharmacy from Al-Zaytoonah University, Jordan. She worked as a community pharmacist in Jordan and as a research assistant at the University of Toronto before joining the college in 2012 as a MSc student. She transferred to the PhD program in September 2014. Mays co-founded the American Association of Pharmaceutical Scientists (AAPS), University of Saskatchewan Student Chapter. In fact, in recognition of her leadership role as the chapter’s first chair, Mays received the Mark Kroeker Exceptional Student Leadership Certificate from the U of S Graduate Student Association. She also led the Student/Postdoctoral Outreach & Development (SPOD) student-led AAPS program at the U of S and was successful in securing funds to co-sponsor the 5th Western Canadian Medicinal Chemistry Workshop held this September at the U of S.